Just also added writing to the tango API as it is quiet analogeous to reading once you get what the different parameters mean… find it on github. Please not that I am not keeping the Objective-C API up to date (was only for testing) as well as the Test-App. 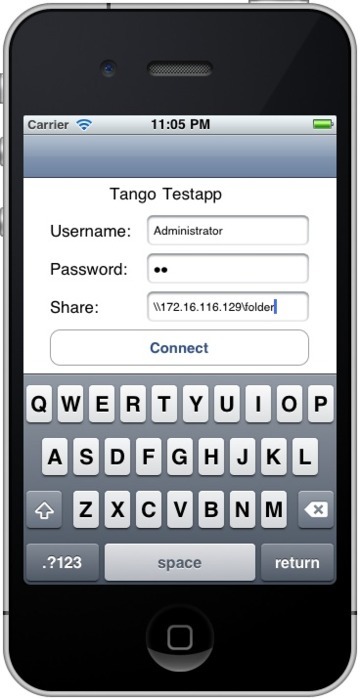 If you want to use tango in your app, please use the C-based API; a stable Objective-C API might come later, but is not available at present! 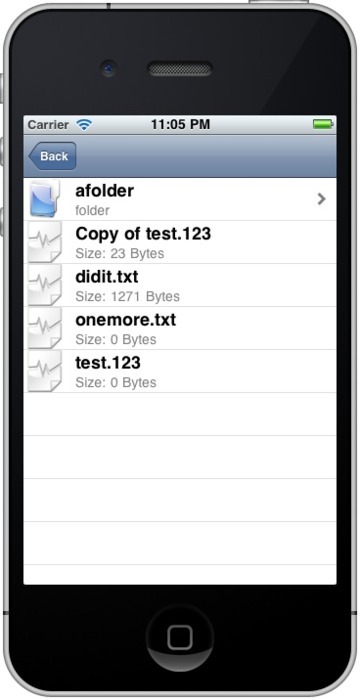 Used the last few evenings to finally get the reading of files on a Windows File Share running for iOS. It is part of my lightweight SMB library called tango and can be found on github. Feel free to use it in your own iOS projects. For a private project I needed a simple iOS library to access a windows network share and download a file. No such free library seemed available and I did not want to dig into Samba and port it to iOS. So, I considered to write such a library myself. I was under the impression it could not be sohard to get the basic functionality I needed done. Common Internet File System (CIFS) Technical Reference: A try to make SMB a standard. It does not capture all of the protocols quirks, but the most common SMBs are listed and the exact format is give (when known). Remember earlier when we talked about SMB messages as if we were dissecting some strange, new species of multi-legged critter? Well, we’ve moved beyond Entomology, Invertebrate Zoology, Taxonomy, and such. We’re now studying really complex stuff like Sociology, Psychology, and Numismatics, and we get to put the little critters into Skinner boxes and see how they react to various stimuli. It’s important research, and there are all sorts of interesting things to discover. Enough with that. At the moment the library is tested on iOS 4.2 and with a Windows XP share. It is able to connect to a protected share and list and browse files and directories. I don’t think I will have the power to maintain the library what is beyond my exact needs (I will have to add reading and writing of files as final features), but you are free to do what you like with it. As it its a quiet small library, it might help someone get started with the protocol.